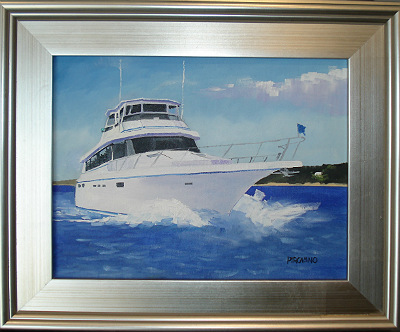 I can paint your boat! 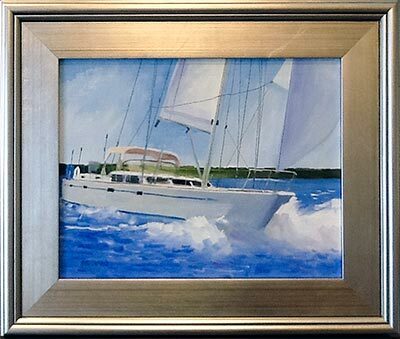 Reasonably priced and beautiful to look at, a framed original fine oil painting of your vessel will be a painting to treasure. 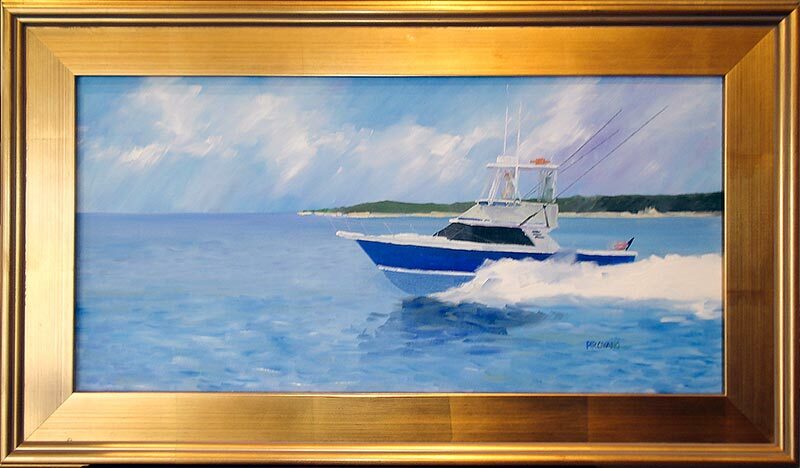 Email or send photos of your boat to Forrest and indicate size painting you would like. 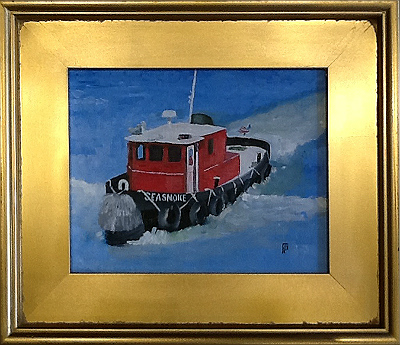 Deposit of $150 required: either mail check payable to Forrest Pirovano, PO Box 1011, Mashpee, MA 02649. OR Pay online via credit card or PayPal. Shipping fee: $30. No shipping fee if you pick up your piece at the studio.